Through my experience as a copywriter, I’ve learnt a lot about pay-per-click advertising (PPC) and why it is a great way to enhance your business. If you’re worried about the time it will take to set up, rest assured that it is a simple process, which could see you benefit from drawing more customers to your site. To enable PPC to work effectively, the first thing you must do is research key search word terms that you believe will bring relevant users to your site, and at what volume. Once you have worked this out, you can then start to create pay-per-click campaigns. Your first task will be to create a keyword list and then order your campaigns. In the same way that you would structure a good website, take your products and look at the categories you can split them into. For example, if you sold cakes you could set up a campaign for each type of cake, then within each campaign you could provide information on each style and size of cake to give your account a more efficient structure. Setting up campaigns which are relevant to your business will also impact positively on your Google ‘quality score’, helping you to gain higher sponsored link positions within Google results pages. 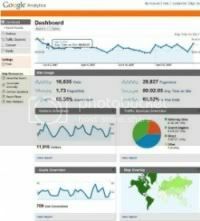 To measure your visit levels accurately, use a web analytics tool such as Google Analytics. It’s free to register, and will provide you with detailed analysis into the effectiveness of each and every keyword term you have used. We work with Blossom PPC to provide clients with a service that aims to add value to your business and ultimately save you money. Blossom PPC are fully trained Google ads experts who strive to help you grow your business online. Blossom PPC works closely with each client in order to create handcrafted highly effective PPC campaigns that will produce measurable results to increase inquiries and attract your ideal target audience. 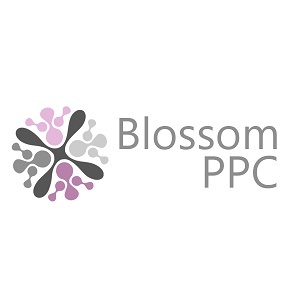 For more information on how Blossom PPC can help your business achieve its goals, click here.